Mario has been honored with the Hispanic Business Roundtable’s “Circle of Excellence” award and was named L.U.L.A.C.’s (League of United Latin American Citizens) “Businessman of the Year”. He was also featured on a KTLA television special “Making It: Minority Success Stories”, as well as receiving the Advocacy Award from Hispanic Magazine. Furthermore, Mario received the honor of being featured in “Entrepreneur Magazine” in a celebration issue featuring the accomplishments of the top forty companies with owners under the age of forty. Mario also received the 2005 O.C. Hispanic Chairman’s Lifetime Achievement Award and the 2005 O.C. United Way’s Hispanic Influential Lifetime Achievement award. Additionally, his accomplishments include being honored in Orange County Metro Magazine as one of the 25 hottest people in Orange County, as well as being recognized by Hispanic Business as one of the most 100 influential Hispanics today. Mario maintains an active and prestigious role in many social organizations and foundation. He was the past President of the Hispanic Business Roundtable and former Chairman of the Latino Coalition Foundation. Additionally, he served on the Board of Advisors for the National Latino Peace Officers organization and served as an Orange County Sheriff Reserve. Mario was also an active participant as a Board Member for the Boys & Girls Club in the South County area, and was a Board Director for the Efren Herrera Scholarship Foundation, as well as a special assistant to the President of L.U.L.A.C. He also served on the Board of Directors for the Tiger Woods Learning Center. 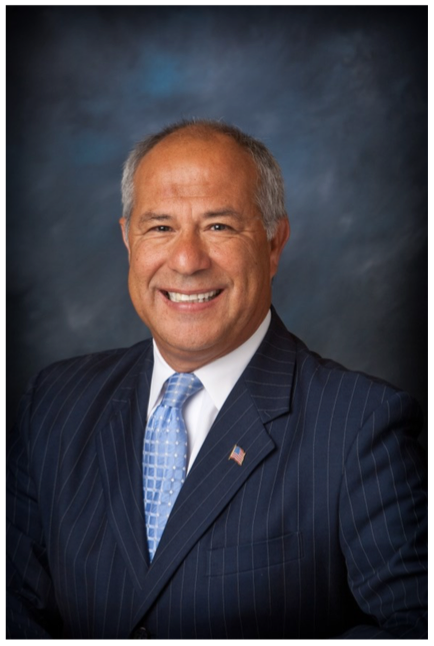 Mario was selected to serve as a member of President George W. Bush’s Commission to Strengthen Social Security, and was elected as the Vice Chairman of the California Republican Party from 2003 to 2005. In 2004, he served as the Regional Chairman for the Bush/Cheney Presidential Campaign. In 2008, he served on the National Hispanic Steering Committee for John McCain’s Presidential Campaign and was the California State Latino Co-Chairman for John McCain. Mario also served as a member on the transition team for Governor Schwarzeneggar, served as a member of the State Hispanic Team for the re-election of Governor Schwarzeneggar, and was a member of President Bush’s National Hispanic Steering Committee. Additionally, he served as the California Latino State Chairman for the Meg Whitman Campaign for California Governor. He has also served on the President’s Advisory Council of Concordia University, and served on Pepperdine University’s Hispanic Advisory Board. Currently, Mario serves as a member of the New Majority and Lincoln Club of Orange County. He is also a founding member of the Hispanic 100 and serves as the organization’s Chairman, and also serves as a Board Member for Trailblazers, a State Political Action Committee. Mario utilizes his passion, experience, and knowledge to satisfy a wide variety of endeavors professionally, socially, and personally. He currently resides in Orange County, California and enjoys spending time with his daughters and grandchildren.